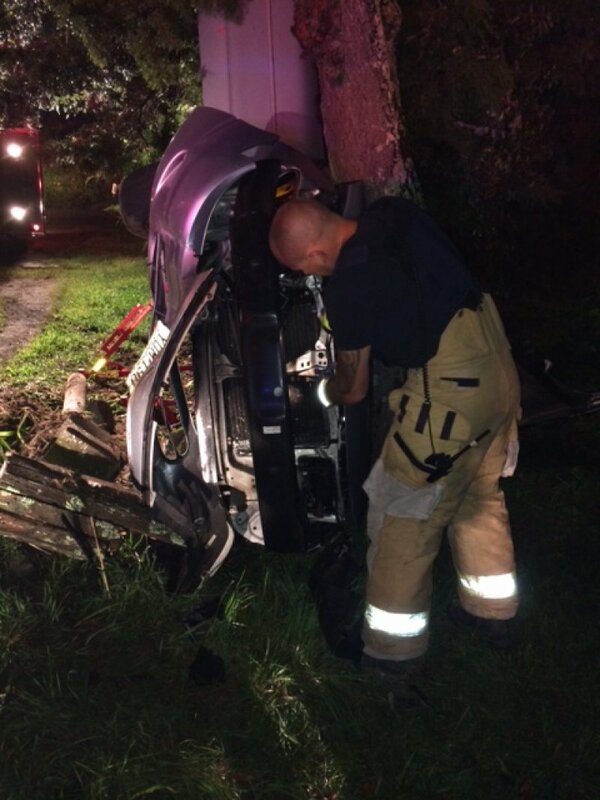 R1221 arrived on location to find a single vehicle into a tree with one pt. entrapped in the vehicle. 98R and Lifesupport 6 treated and transported the pt.